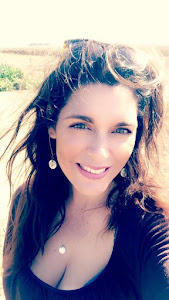 I'm reading: Remembering Stacey..Tweet this! Beautiful post, my friend. I'm so sorry for your loss. Amen. Stacey was a remarkable woman and I will miss her so very, very mucy. What an inspiring story. Thank you for sharing. My brother, 32, is fighting brain cancer right now. I know the challenges. Our prayers are with those sweet children. Kirsty you have an amazing way with words. 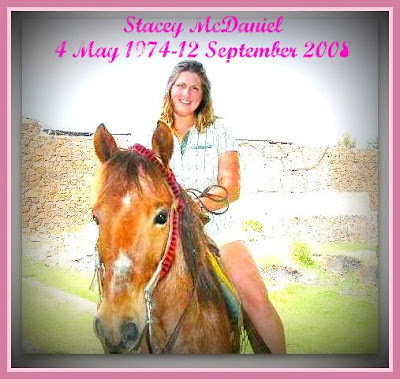 I am sad that I never got meet Stacey in person, but so so blessed to have known her. I am so sorry for your loss and for the loss of those sweet little children. It sounds like Stacey was and is an amazing woman. Your description of her is inspiring and touching. My thoughts and prayers are with you and her lovely family. I am sorry to hear that she past. I hope that her story can encourage others to be that strong and loving. Thank you for telling me her story and I hope things go well for the children.